Sport is a way of life. It requires devotion and dedication every single day and involves many facets that go beyond practice sessions and matches. Handling pressure, taking care of your body, as well as your mental and emotional well-being, staying positive during tough times, choosing the right person to look up to, are just some of the traits that make a successful athlete. It is pure joy at work, when a kid takes a ball to the playground and kicks it or tries to shoot it through a hoop. It is a heartfelt love towards the sport and the game, and the natural human need to have fun. Sport is also a big business, however, and as a result of its lucrative nature, children in sports face mounting pressure from their coaches, parents and the competitive environment. It is all too easy to forget the passion that brought you to your sport in the first place. “There is this idea planted into the young footballers’ mind that they have to become huge stars. This can cause a lot of psychological and emotional strain and it is difficult. 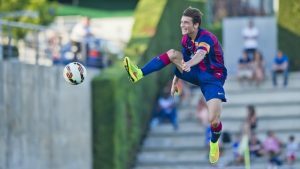 You must search out the positives all the time and learn how to live under pressure”, says David Babunski, attacking midfielder for Red Star football club and an alumni of Barcelona’s famous youth academy La Masia. The coaches and clubs need to help young people, but handling that sort of pressure is a tough task which is mainly on the shoulders of the individual. “What I found useful was to dwell on everything that was going on in my life and try to analyze it deeply. I would introspectively observe my experience and attune to my inner activity, in order to truly comperhend what was going on in my mind and in my heart“, adds Babunski. There are numerous examples of young players throughout the world of sport who failed to deal with their parents’ ambitions that tend to be overwhelming and often unrealistic. Milos Ninkovic, a football player who played for Serbia in the 2010 World Cup, has seen a lot of it during his early days at Cukaricki, a football club currently competing in the Serbian Superleague. Miloš Ninković plays for Sydney FC, Australia. He racked up 28 appearances for the Serbian National Football team. “There were several kids that may have had more potential than me, but their parents always thought that their child was the best and they would raise a ruckus if he was not in the starting line-up. That is a severe problem. I was fortunate enough to have a father who came to watch my every game, but refrained from saying anything of that sort“. “In my days with Dynamo Kyiv I had the opportunity to play against Barcelona – Iniesta, Xavi, Messi, they are all playing with smiles on their faces, they make it look effortless and that is because football is still just a game for them. That is the best possible attitude one can have“. No matter how hard it gets, you need to retain a healthy perspective and not let yourself get caught up in things outside the playing field. However, this does not mean that the fun and the love diminish the importance of ambition. A player still has to be dedicated, motivated and persistent from an early age. “In order to play at a high level, you have to take it all quite seriously early on. When you are young, you need to have the will and strength to practice and improve on a daily basis. Later on, when you become a professional and become part of a team, there is not much time for individual work. You have to make use of that period when you are a kid to the full extent. I was fully devoted to basketball at 16 years of age, even earlier, and I knew that I wanted to become a pro“, underlines Marko Simonovic, basketball player and member of the Serbian National Team at the Olympic Games in Rio de Janeiro. What an athlete does during matches is just the final piece of the puzzle called “a career“. In order for that final piece to neatly slot in, the athlete needs to pay a lot of attention to their attitude and actions off the pitch, court or track. This includes quality nutrition, adequate rest, stretching your body, positive surroundings and avoiding distractions that can jeopardize the ability to provide their 100% when it matters the most. “Actually, it is quite simple – your body is your professional tool and one needs to take proper care of it. I enjoy being a professional in every sense of the word, on an and off the court. This means leading a neat and healthy life style“, says Simonovic. The world’s best athlete Novak Djokovic wrote a book about nutrition called ’Serve to Win’ where he emphasizes the importance of an athletes’ diet for performances on the court. “Nutrition for me is one of the fundamental aspects of my profession because I believe the functioning of our body depends a lot on what we eat. I put a lot of emphasis on it – I have a responsibility to myself as an athlete to inquire and gain knowledge about what is good for my body, what type of nutrition is good for me and what type is not“, explains Babunski. And just as Djokovic put it in his book, every person has a different metabolism and works in a different way, so one must discover the right combination that will work for them. “For example, corn is a good natural probiotic, but my body does not react positively to it. I try to eat white meat during the week, but red meat only two or three days ahead of the match. I also eat a lot of pasta because of the carbs, which is a way to make up for lost energy. Fruit is good as well, but not ahead of practice“, said Simonovic, giving some clues about his diet. Milos Ninkovic has had troubles in the early stages of his career. At the age of 20, he went from Cukaricki Belgrade to Dynamo Kyiv and was plagued with injuries for the better part of the first three years at his new club. Nightlife, lack of sleep and bad eating habits all caused him physical problems. “At first, I did not care about nutrition, I ate at pastry shops and burgers joints, and that is disastrous for an athlete. In the meantime, I have eliminated all of the junk food from my diet and I do not eat meat before practice or a game. From my experience, four hours is not enough to digest it“, says Ninkovic. In his own words, Milos “flushed the first three years at Dynamo down the drain“, but then met fitness coach Sead Krdzalic who managed to completely change his perspective. “I behaved that way as well, but if I could go back to the past, I would have said to myself: ’You will be playing football for 10-15 years and afterwards you can do whatever the hell you like, but during those years you have to be a professional’. The sacrifice is huge, but if you have made a choice to be a pro, you need to give yourself 100% to the sport“. This only tells us that building positive work habits is of the utmost importance. Aside from nutrition, all the athletes pointed out the need for good sleep patterns and rest. In addition to this, working individually on the smaller details proves to be indispensable in the life of an athlete. “Before a practice match I go to the gym to kind of warm-up – ten minutes riding a bike, then come the exercises for abdominal and back muscles, sometimes squats for my quadriceps and that’s it“, says Ninkovic. Stretching is a form of preparation for the next practice and it also prevents players from getting injured. “Along with stretching excercises, I sometimes take an ice bath after practice, because it is good for recuperating the muscles and taking care of other niggles in the body“. The drive to live a healthy, structured, and sometimes strict lifestyle must come from the athlete himself. The coach’s task is to encourage the athlete by drawing their attention to the benefits of such a lifestyle, but also to help keep them stay the course. Whatever we would do at practice, he would later eat meat pies, drink Coca Cola, so there was no point. But eventually, he came to realize why eating healthy is important, he had seen the effects of the change in diet and now he is completely fit“, says Milojevic. Every job can become frustrating at times and athletes often face difficult situations on and off the court. These trials are there to probe your mental toughness. For instance, one of the most undesirable positions a player has to endure is to sit on the bench during game time, despite all the efforts they have invested. It happens frequently, but David Babunski has a rather unique way to confront the challenge. “It is all about getting in touch with your mental and emotional activity – we have the ability to decide how to perceive things. I believe everything happens for a reason, to help us and teach us something about how our mind works. The most important thing is self-confidence, never lose trust in yourself and never let external circumstances alter your belief“. 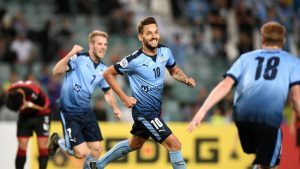 Unlike Babunski, the first thing that popped up in Milos Ninkovic’s mind was a joke a fellow player told him while they were sitting on the bench watching the match. “He used to tell me: ’Why are you upset – the less you play, the longer your career?’ I was 23 or 24 years of age back then…“, mused Ninkovic. “There will always be rough moments, but hard work and staying the course always pay off in the end. The worst thing you can do is say: ’I am working, I am practicing, but I am not playing’ and then stop doing all these things and start feeling sorry for yourself. This is disastrous and I have seen many people fall into this hole. No, you have to awaken that spite in you and start working harder in order to prove yourself“. You can hear players saying they had “a bad day at the office“ after they lost a match and those kinds of days happen to each and every one of us. Sometimes you wake up and you just do not feel like going to practice, or as Ninkovic puts it: ’There are days when I would give half of my contract just to skip that one practice session’. Milos naturally does not skip practice and he pointed out that on those days an athlete needs to be extra careful. “You feel like crap, you just want to go through the motions and go home, but injuries usually occur when you are in that frame of mind. Right then, in that exact moment, you need to be extremely focused. In my opinion, every athlete needs to have a clear goal for his future – those are the occasions when that goal pushes you forward: ’I am going to practice now so I can accomplish my goal’. You tell yourself: ’You need to be the best right now, in this practice session“. When we took this topic up with Marko Simonovic, he brought us back to the very beginning and said that you need to keep reminding yourself how much you love the sport you play. “You need to realize that the sport is your job and your life and to always find another source of inspiration. Sure, we are not robots, there will be a day when you did not do that well in practice, but you better make sure you make up for it next time. If you stick to your ambition, you are on the right path“, adds Simonovic. Talking about the life of an athlete, the word “head“ asserts itself as something players and coaches value the most. Their message is clear – it is imperative that the mind of the sports professional remains strong. With the hectic lifestyle and staggering amount of information we are exposed to every day, finding peace and focusing on the positive is a necessary part of the mental stability an athlete needs to possess. “I watched the movie ’The Secret’ and I would recommend it to everybody, not just athletes. Also, Sead gave me a book titled ’The Power of Your Subconscious Mind’. I have seen what people have been able to do with positive thinking, so I have learned to believe in myself and to believe that nothing is impossible. You have your goal in front of you and you are constantly thinking about it. Before the matches I visualize myself scoring or celebrating, I immerse myself in such thoughts and situations similar to those I visualized have really happened in matches quite often“, indicates Milos Ninkovic. One must not devote their life to attempts to be like someone else – it is good to check out others and make comparisons, but you have to be true to yourself. With that being said, picking the right person to look up to is essential, especially because nowadays young players tend to get lost in all the hype, hooked on time-wasting on social media and generally give in to distractions the world around them is abundant with. “The greater the player, the more professional he is. I can vouch for that based on my own experience“, says Goran Stevanovic, a coach who used to work with stars such as Nemanja Vidic, Michael Essien and Dejan Stankovic. 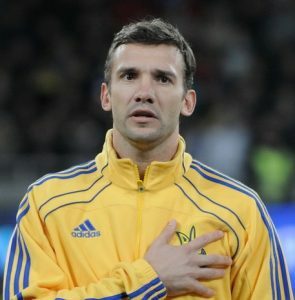 This becomes obvious when taking a closer look at Andriy Shevchenko – Ballon d’Or winner in 2004, Champions League winner with AC Milan in 2003 and the top scorer in the history of Ukrainian football with 374 goals. Milos Ninkovic spent three years with Shevchenko in Dynamo Kyiv in the waning career days of the legendary Ukrainian. Per Milos’s words, Shevchenko is a top-notch role model in every aspect. “Oh, I have learned so much from him. He told me that they never ate meat at AC Milan, maybe just a small piece and he ate it only after practice. He would eat fish or pasta before practice, once in a while he would have a glass of red wine, but mainly he drank water and natural fruit juices“, Ninkovic tells us about the habits of his former teammate. The thing that sticks out the most, though, is Andriy’s behaviour in practice – by that time he had already enjoyed an illustrious career with Milan and Chelsea and he came back to his first love, Dynamo Kyiv, at the age of 33. “I will never forget his first practice there – he slide tackled, he was hungry and he would bolster himself after a missed shot: ’Come on, Andriy, you have to score from that position’ or something like that. In Dynamo he was practically God incarnate, but he still showed up with that kind of attitude – he was motivated, giving it all on the pitch every day“. Instead of learning from such an icon of the sport, the young players at Dynamo seemed to not have understood him the right way. This is what bothered Ninkovic the most. “I told the young players to look up to Andriy, but some of them thought he was ’mad’ in a way: ’He has made so much money so why does he care if he scores or not?’ But the thing is, Andriy would not be who he was if he had not operated that way from the start of his career. 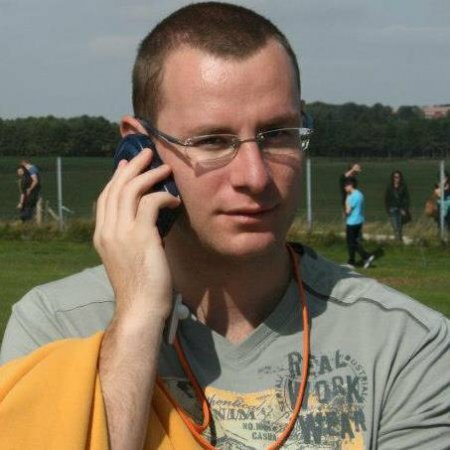 The others were thinking: ’OK, you can relax a bit now’, but that is just not in the blood of those kinds of players“. “What can you say when you see a person like Novak? He is the best athlete in the world, but at the same time he is so smart and eloquent – we can’t all be like him, but we must aim to be the best versions of ourselves“, concludes Marko Simonovic. Of course, a role model does not have to be a world famous athlete – it can be your teammate, a colleague from another team… The key is to keep evolving and to keep your mind open to things that can serve you well in your career.